Take a seat at the table and let's talk about it! And I mean that literally! I want today for us to talk about tables, all sorts of tables. Whether you are looking for a coffee, dining, bedside or end table, I have all types in this article and they are all exquisite and unique. I have found these tables around the internet and you can all check them all out and buy them from the original designers, whose websites I have linked after every photo. You will notice that a common theme to these tables are their closeness to mother earth. 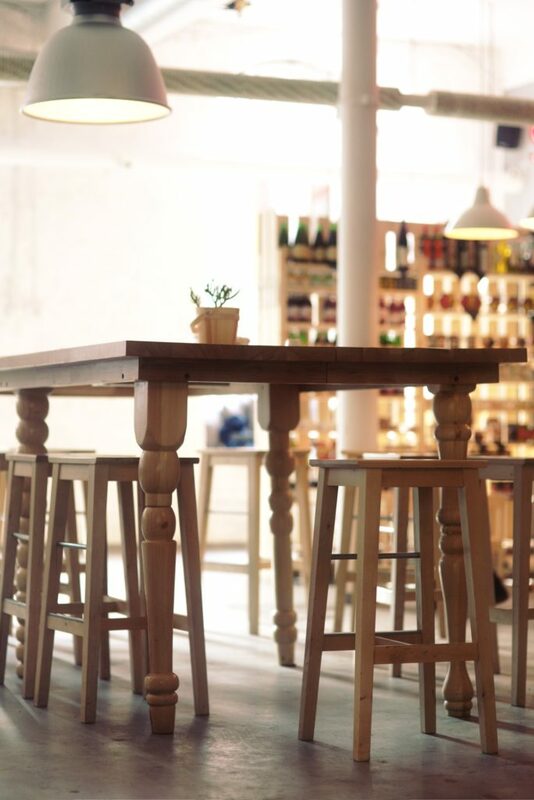 And this link is not only due to the materials used in the creation process of the tables such as wood. The theme of mother earth is clearly stated through the design concept. This adds not only to the beauty of these products but it can also be a good and conscientious reminder of what mother earth has to offer us and how much we owe it in return. This first table is a wonderful and, may I say, grandiose table that will stand out in any dining room, any house and any place. 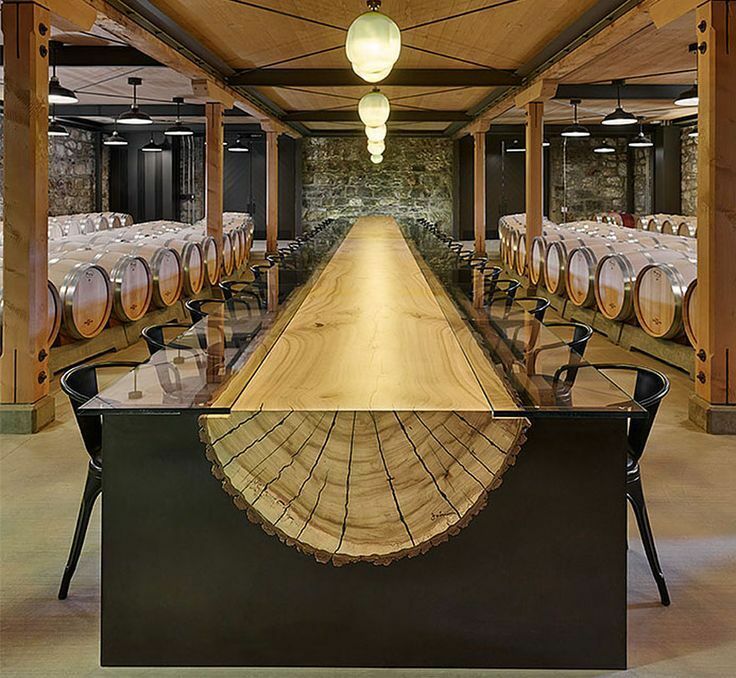 The grandeur of this table comes not only from the fact that is made out of a half cut trunk of a tree, but also from the fact that it can be also kept to the height of the tree, making this table the perfect choice for large dining halls, conference rooms or homes with big families! Next up, we have a gorgeous piece of art, which allows you to look into the depths and explore them. Designed to look just like a section in the sea, the Abyss table will blow you and your guests away and will give you something to talk about before, during and after coffee. 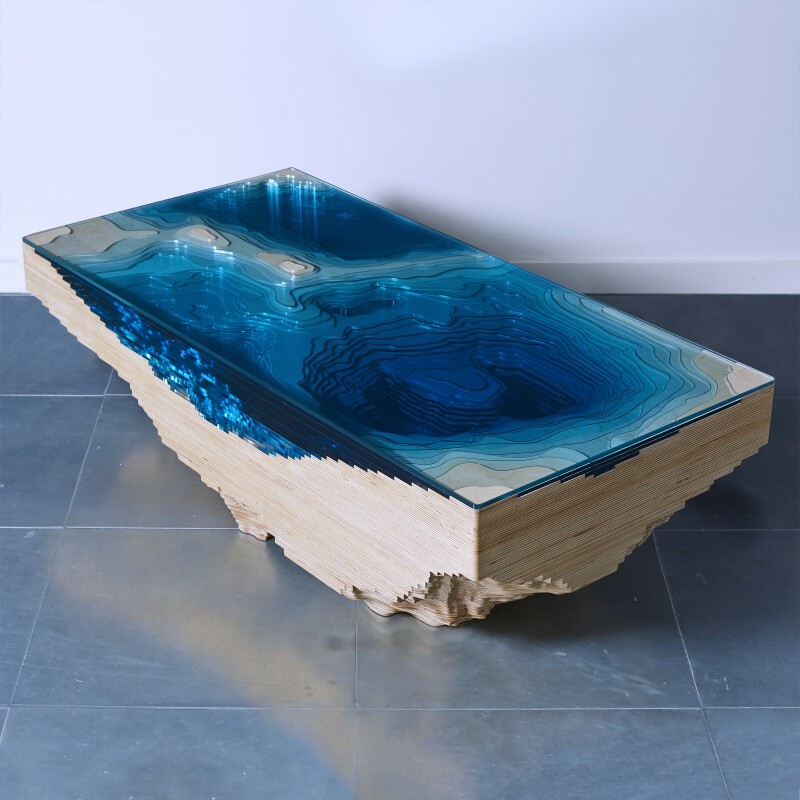 This comes as a coffee table, made out of high class wood and several layers of glass, which are also the culprit behind the amazing abyss effect. On the designer Christopher Duffy’s website you will find several versions of this table, including several design varieties and the option to select this as a dining table, if you prefer. From the abyss we come back up and explore the land a little more closer to the surface with the Burled river dining table. This table is also available in several varieties on the designer’s website. I have chosen this particular one due to its simplicity and yet striking design. In my humble opinion, this would make for a gorgeous dinning table, to which you would already have the centerpiece. No more need to figure out what to put in the middle of your table in order to impress your guests. Just keep it simple and let the table do all the talking. For the outdoorsy type, I have the next table, which is a clear representation of our bond with the earth. Even though this table is introduced and presented as a gift for those who enjoy picnics, so that they could enjoy them indoors also, I would say that this table is quite the opposite of that. The main idea of the picnic is to be outside and enjoy the fresh air, which you won’t be while eating on this table. 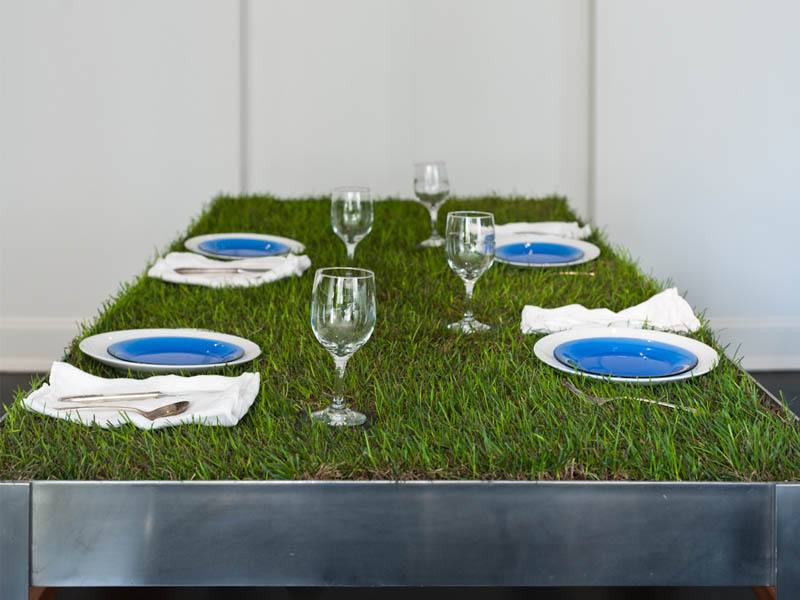 You don’t usually put your dinnerware directly on the grass or eat off of it and you won’t be comfortably sitting down but rather on comfortable indoor seats. But this doesn’t mean that I dislike this table. I enjoy the idea of it and I think it’s a neat and interesting piece to have in your home. Just the fact that you would bring a little of nature inside your home makes me want to have it. 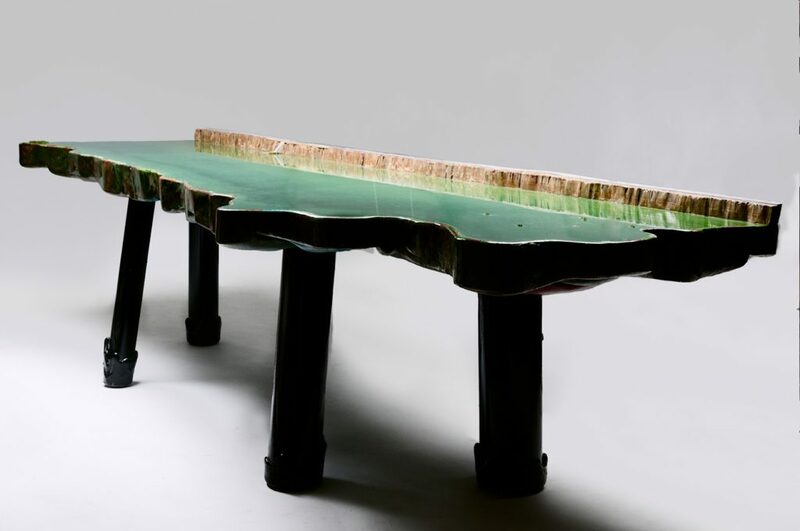 Another stunning piece of art that simply looks like it has been ripped out of nature and brought into your home is the perfect way to describe this next dining table. 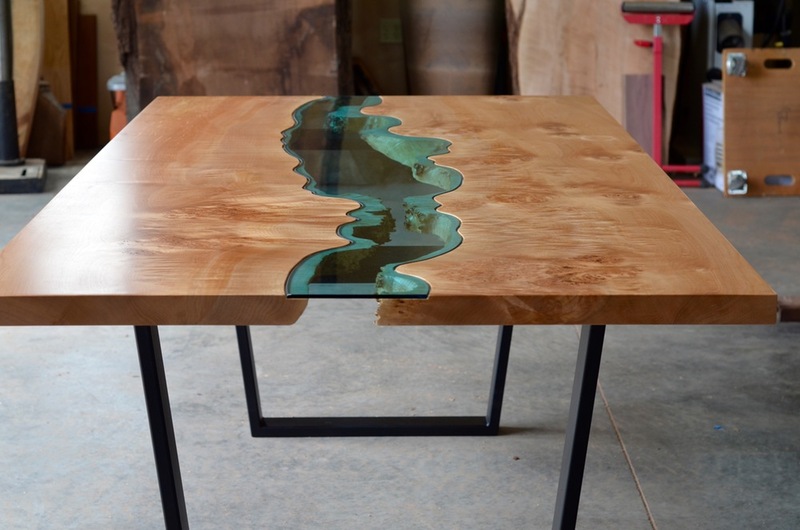 The design and artistic details of this table are something to be impressed by. If you follow the link to the original website, you will also notice close-up pictures of the details of this landscape and these are just some of the things that makes this table great. This piece is just one in a series of 7, which are all unique and gorgeous, and you can see all of them on the designer’s website.